Well, Matz is to start the season on the DL. Wheeler will pick up his slack but will be on an innings count. Let him return just when Wheeler is reaching his limit. I agree though... it will be a great season if we can start beating the Nats!! Sounds like Montero is probably going make the roster and be in the pen. Not sure what they plan to do with Lugo, sounds like he pitched really well in the WBC. Perfect timing for me -- Mets season is getting started just as the Isles looks like its coming to an end. At least you also have the Rangers. Rangers = small consolation... Rangers have been slumping badly. My earthly joy will be found in the Mets this summer. Seeing the Jets get #1 pick in 2018 draft will be my joy! Over on 88 wins sounds like easy money. Playing hooky to go to opening day (unless it rains). Lugo starting the season on the DL. Arm fatigue before the season has even started. Just glad that Thor opted to skip the World Baseball Classic. Still can't understand why any player--especially a pitcher--would want to play in that thing and risk injury. For the Mets, tomorrow. MLB opened up today. Thor dominant and the bats come alive late. Duda goes opposite field to break it open and Bruce showing good plate discipline with 3 walks! DeGrom vs. Colon on Wed! You think Colon wants this one??! He's going to be using all the tricks he's learned over the years to try an confuse the Mets hitters. A lot of crap off the plate at all different speeds.... 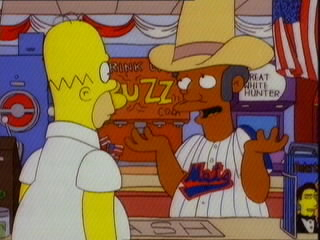 I hope the Mets pitchers took advantage and learned from this guy. Then it'a Harvey and Wheeler..... what a deep rotation! What a great opening day today. Crowd was great. Weather was about as nice as you could ask for with the nonsense we've been dealing with. Thor was dominant. Mets took advantage of a Braves bullpen that imploded. Nice to start off the season with a W. Gotta keep the momentum going Wednesday. O'Flaherty pitched for them just like he pitched for us when we brought him in in 2015. Not sure how that guy is still in the majors, but nice to see him on the hill for Atlanta. Lol. When he came in I was wondering if it was the same O'Flaherty. Then when he started pitching, I was like yup, that's the same guy. The W was a given at that point. Was just going to post something simillar.